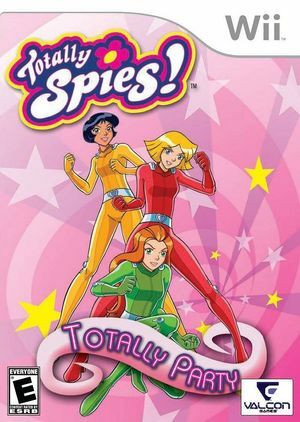 In Totally Spies! Totally Party Sam, Alex and Clover decide to room together in their "dream house." Life couldn't get cooler, until they've unwittingly made their home right above an Underground Secret Services Center. To prevent a catastrophic security leak, Jerry, the Center Chief has no choice but to take on them as special agents. The game is primarily based upon a series of mini-games distributed around 10 boards and a showroom. On each board, 1 to 3 players will be able to face-off with a "bad guy." The players must win the mini-games in order to gain popularity points and lay traps against the bad guy. Watch out, the bad guys can also lay traps! The graph below charts the compatibility with Totally Spies! Totally Party since Dolphin's 2.0 release, listing revisions only where a compatibility change occurred. This page was last edited on 13 January 2018, at 15:12.